Ribbon-Cutting Ceremony at 100 Bedford Road! Today was a very exciting day! 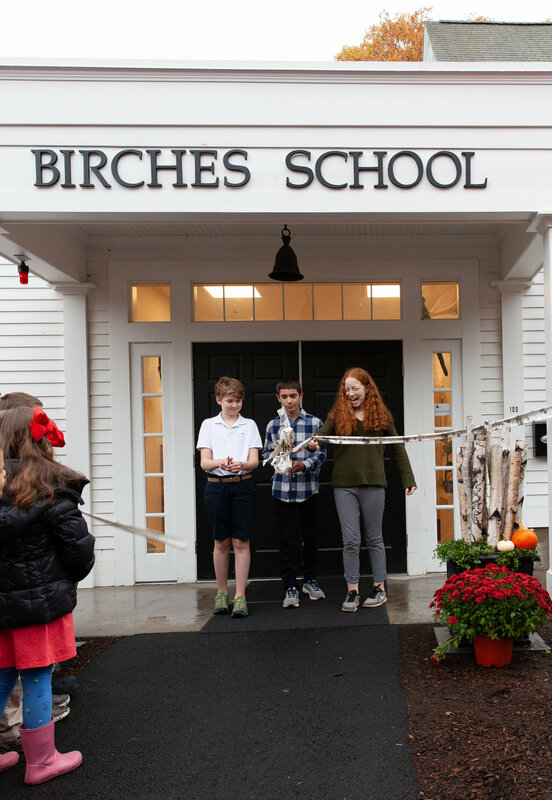 Lincoln town officials joined board members, supporters, friends, students, parents, faculty, and staff to cut this ribbon, officially opening Birches School at our new property at 100 Bedford Road. Our brilliant art teacher and her daughter, a Birches student, created the birch bark-decorated ribbon you see above. 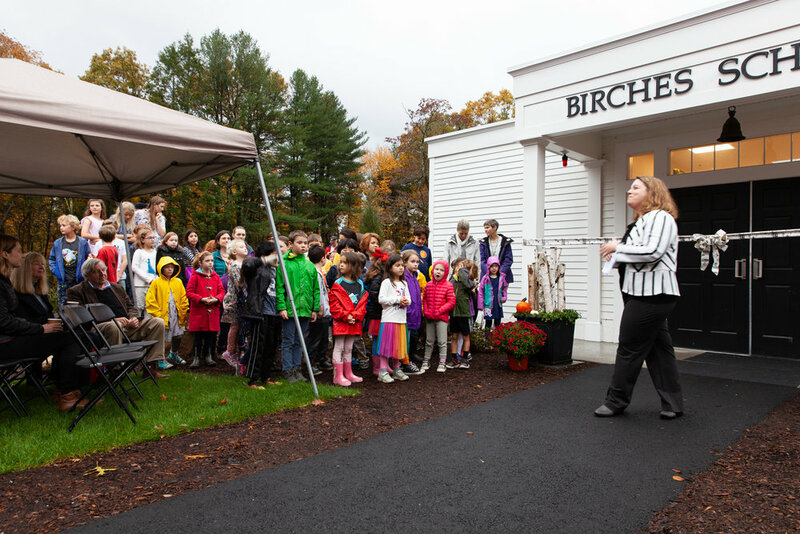 Below, the Head of School addresses students and guests and then three of our “founding students” (now in their seventh year at Birches, representing grades six, seven, and eight) cut the ribbon. The final photograph shows two of those three students with their mothers, the co-founders of the school. Newer PostThis Says It All! Older PostMiddle Schoolers Hike AMC Trails!